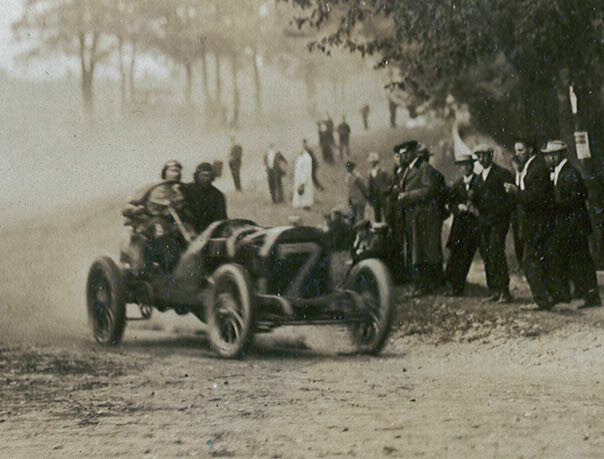 Robert, below are my favorite images of your great-uncle who drove in the 1905 and 1906 American Elimination Trials and was one of the winning drivers of the 1908 New York to Paris Race. 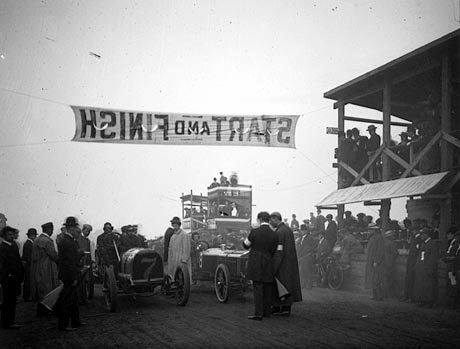 Montague Roberts drove this huge 60 Hp six-cylinder racer at the 1905 American Elimination trial to select the five American cars to participate in the second Vanderbilt Cup Race. 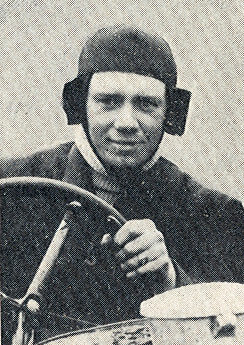 Roberts was only 23 years old when he raced in 1905. At the starting line next to the #7 Royal Tourist. Passing a flagman on Jericho Turnpike. 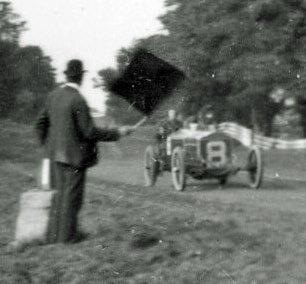 Despite finishing 5th, the Thomas was not selected by the Vanderbilt Cup Commission for the Vanderbilt Cup Race. 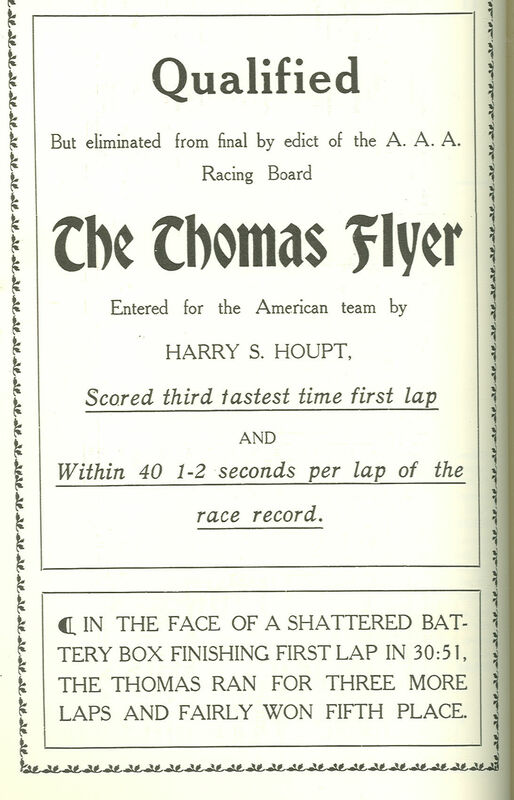 Harry Houpt, who entered the Thomas, complained, “They have no right to take my $500 and make me spend $1,200 and then throw me out without a hearing.” The Thomas Company reinforced their displeasure with the decision by placing an ad in the official program for the 1905 Vanderbilt Cup Race. 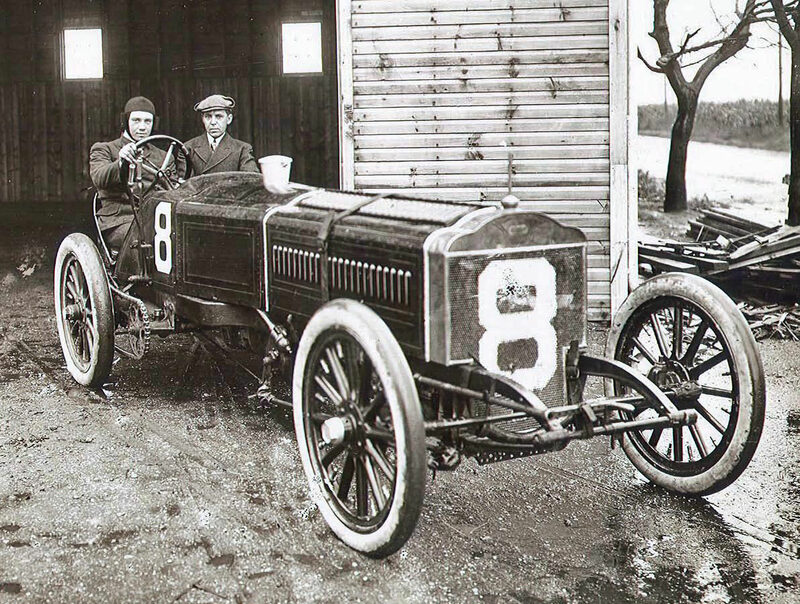 Roberts returned to compete in the 1906 American Elimination trial driving the #7 115-hp Thomas. 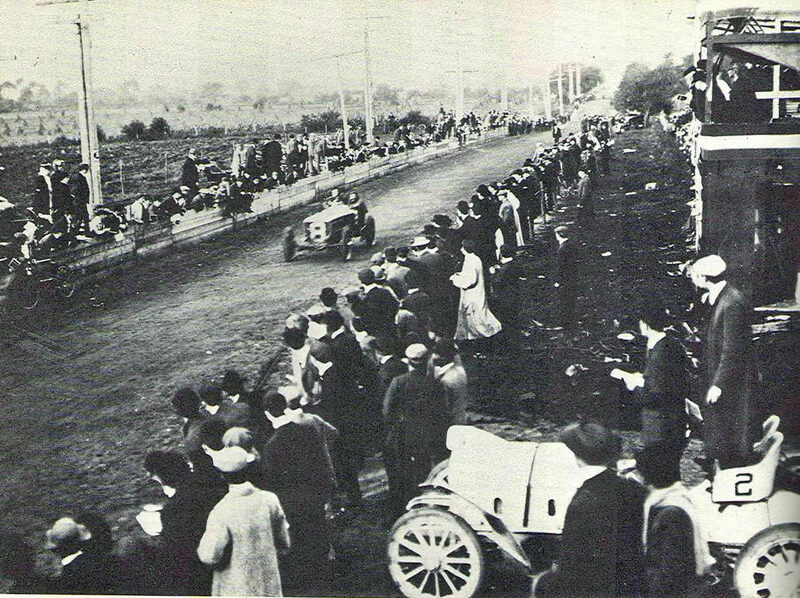 The car finished 9th and was not selected for the American Team. 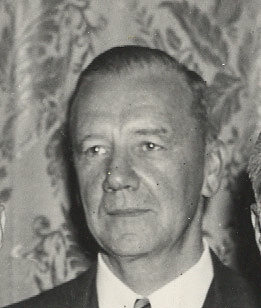 Montague Roberts and four other drivers appeared at an Automobile Oldtimers Club meeting in November 1940. 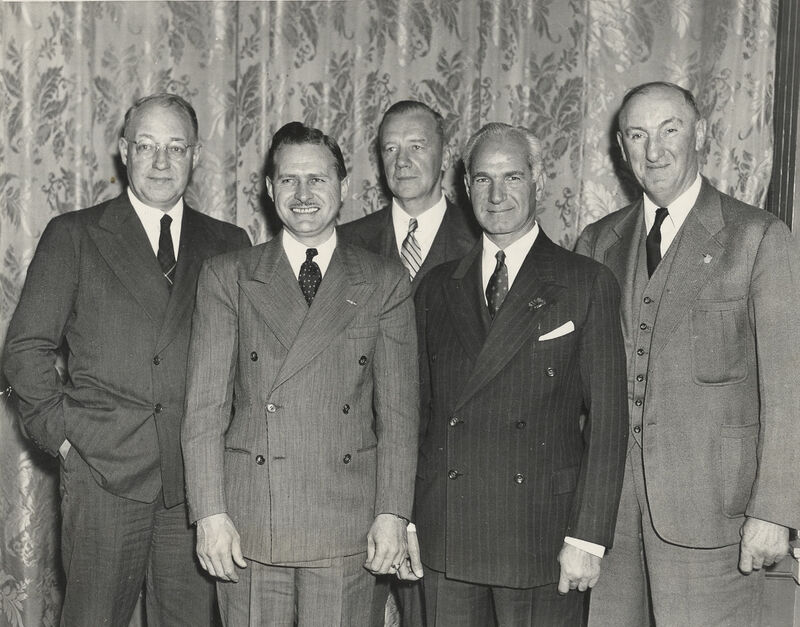 Left to right; George Robertson, winner of the 1908 Vanderbilt Cup Race, Wilbur Shaw, three-time winner of the Indy 500, Montague Roberts, Ralph DePalma, winner of the 1912 and 1914 Vanderbilt Cup Races and Cannonball Baker, pioneering motorcyclist and long-distance endurance automobile racer. Austin Clark, his wife and daughter with Montague Roberts. The 1907 Thomas Flyer was purchased by Austin Clark for $3,000 in 1948 and sold to William Harrah in the early 1960s. 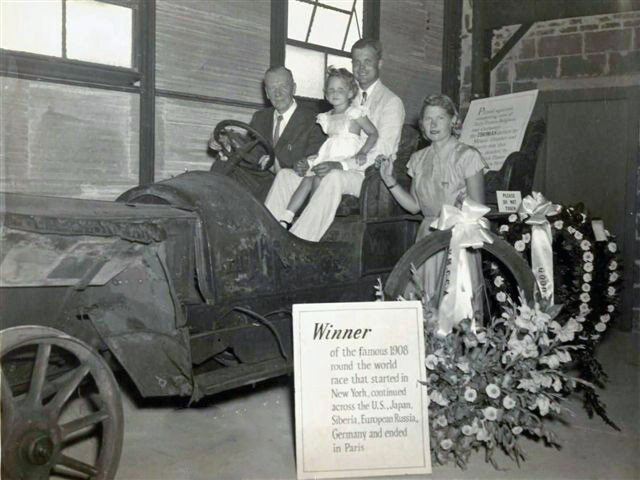 The car is currently exhibited at the National Automobile Museum in Reno Nevada.